Freestyle Revolution captures the latest trends with color punch and trendy fit. 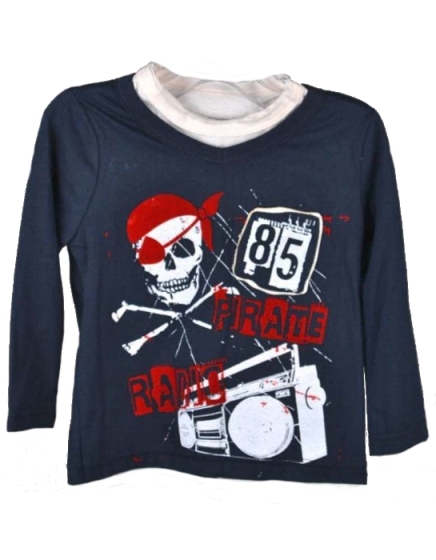 This long sleeve layered look tee is a favorite with the colorful pirate screen print and patch. The mock tee underneath has the latest trend cut collar and hem. He'll Swag in Style with this pirate jersey tee. Make an outfit with coordinating cap and jeans - shown below.True to size. Machine wash. 100% Cotton.